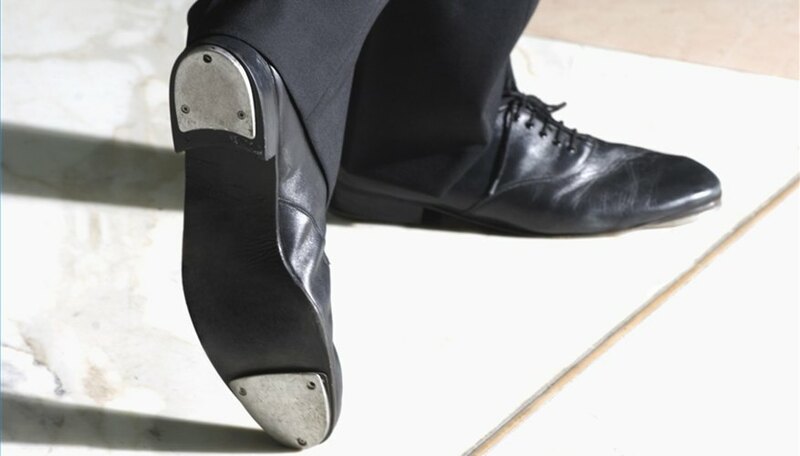 How to Learn Basic Tap Dance Steps. Tap dancing appears to be fairly complicated. It all starts with a series of basic steps linked together. Add timing, fluidity and creativity, and it looks masterful. Put on your tap shoes and some cool music. Start by tapping your toe to the beat. Do this faster and faster to build strength. Brush the ball of one foot forward and then back to shuffle. Step back on the ball of your right foot and step on your left (or vice versa) to do the ball change. Brush forward with the ball of your foot and step on the ball of it for the flap. Do a cramproll by jumping up and landing with your feet. Do this in the following order: Land first on the ball of your right foot, then the ball of your left foot, followed by your right heel and, finally, your left heel. Step with your right foot and touch your left toe behind it for the step toe. Learn the stomp. It's similar to stepping, but you hit your foot on the ground to stomp and then lift it off (placing no weight on the foot when you stomp). Perform the shuffle hop. Do the basic shuffle with your right foot and, leaving your right foot in the air, jump up.